Until the winter of 1824, the Bend area was known only to Native Americans who hunted and fished there. Then pioneers heading farther west passed through the area and forded the Deschutes River at Farewell Bend. ​Constructed in May 1901, the Pilot Butte Development Company's little plant was the first commercial sawmill in Bend. 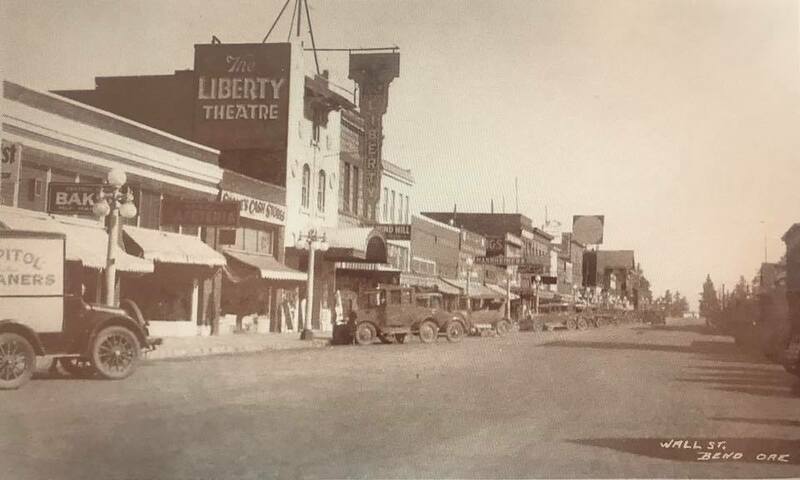 By 1903 a small community had developed, with Downtown Bend touting a Post Office, Bank, shops and an Inn - and a town was born, our town, Downtown Bend. In 1904, a city was incorporated by a general vote of the community's 300 residents. On January 4, 1905, the city held its first official meeting as an incorporated municipality, appointing A. H. Goodwillie as the first mayor. The settlement was originally called "Farewell Bend", which was later shortened to "Bend" by the U.S. Postal Service. "​I love the story of the emblem club because it speaks to vision, dedication and teamwork. These three things are key to the recipe of success. Downtown Bend was established in 1903 by a few brave entrepreneurs. The same streets that we all walk daily were walked by similar folks running small businesses 100 years ago. Because of these brave entrepreneurs, a town was established in 1903. Because a town was established, it paved the way for a City to incorporate. Downtown Bend has been taking a leadership role for our entire City for over 100 years. Our vision for the next 100 years is to continue that leadership. ​We vow to continue to be leaders in our community. We will be the leaders for community – creating a hub where all people are welcome. And in this world that is fast losing its connection to the necessity of experience for a full-bodied life – we will provide a space to touch your products before you buy them, to talk to the chef who made your food, to learn about product you are purchasing – from someone who has dedicated their life to providing that product, to feel the magic of a street decorated with Christmas lights, to walk a street covered in flowers with your friends and family – to duck into a shop where you’ve seen something in the window that you absolutely fell in love with on sight. Merry Christmas from the soon to be opened Tower Theater 1940. Wall Street looking North, with the Liberty Theatre on the left.